Tonight, the Geminid meteor shower peaks. 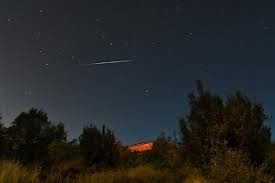 If you are outdoors, look south and hope to glimpse up to 30 streaks per hour, more in rural areas! If you're teaching The Egypt Game, what a great tie-in to the shooting star scene. What other books mention meteors?